The historic capital of this ancient county is the proud walled city of York. The York Minster is the largest Gothic cathedral in northern Europe and the vast array of medieval churches is rivalled only by the number of pubs full of character and fine ales. Ghost walks and ghoulish literature are often set in this eerily beautiful location making it one of our favourite places for murder mystery events! We are betrayed... This mystery combines gadgets and espionage to create an experience that will leave you shaken and stirred. The Game's Afoot! A traditional murder mystery evening with lords, ladies, maids and butlers... And Sherlock Holmes himself! An offer you can't refuse... There's been a murder at the heart of the mob, if it isn't solved soon police are expecting total war! 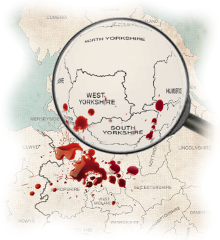 Here are a few venue recommendations in Yorkshire that are suitable to hold one of our murder mystery events. We may have suggested particular murder mysteries below, but don't be fooled - we can run all of our events at the majority of venues. Perched high on a hill among 100 acres and lush landscapes, just 12 miles from Leeds and 17 miles from the walls of York, Wood Hall Hotel & Spa is the ideal setting for our murder mystery filming experience, The Scary Movie Project! A splendid 4 star Victorian country house hotel in the heart of North Yorkshire, Gisborough Hall offers a spectacular backdrop to our antique murder caper Who Killed His Lordship. Dine in the Madoc Suite under glistening chandeliers, by the extravagant feature balcony and be transported back to glamorous high society times. 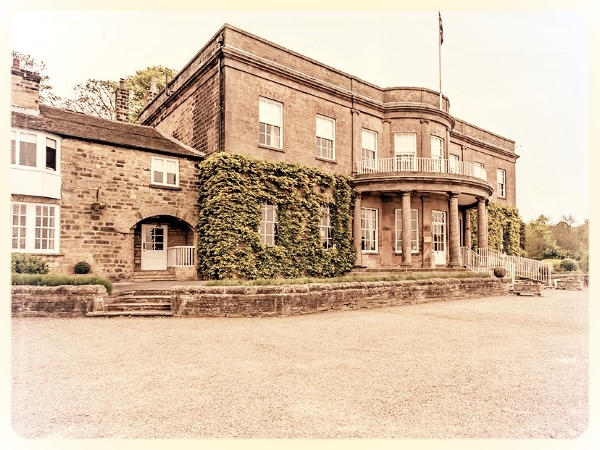 Built in 1906 within 15 acres of private grounds in a unique and breathtaking location, overlooking the Leven Valley, just on the edge of the Yorkshire Moors, Crathorne Hall Hotel is the perfect place to lose yourself in the intricate plot of our On Her Majesty's Service. This is just a selection of venues available. For even more choice, and for access to our best rates, contact us to make use of our free venue finding service.